I’m continuing to struggle with an issue I’ve had for most of my adult life, and that is the problem of not having enough hours in the day or week or month or year to do everything that I want to do and need to do and am supposed to do. I don’t even have good excuses any more for running out of time – when I was younger and my children were growing up it was completely normal and expected that a mere 24 hours in any one day was not a sufficient allotment for a mother. And after my children became adults themselves I still had a good excuse to never accomplish all the things that I wanted to accomplish. I was working full time and running a home and being a partner to my husband – of course the number of hours every month that I had were not enough. They weren’t enough for any of my working friends and family members, either. Normal stuff – hardly worth mentioning, really. But now? Now my children are adults – neither of them live at home anymore, so I can no longer count on them to provide me with an alibi a legitimate excuse for being short on time. And I’m widowed – no husband or boyfriend around gobbling up the minutes of my days. Nope. I’m retired now and I live alone and in theory, at least, am accountable to no-one but myself. Theories are great, aren’t they? I do love a good theory and they are wonderful unless reality jumps in to differ with the concept in question. And the reality of my life is that I have lots of commitments and plans and tasks and to-do lists that I never seem to get completely finished because the hours in a day disappear in the blink of an oh my goodness is that the beginning of a cataract eye. I’m not blaming anybody; I’ve welcomed most of the commitments that have come my way, because I believe them to worthwhile or exciting or scary or think they will help me to grow as a person. Not arguing with that at all. And I think that as we age we should keep busy and stay connected with our communities and with other people – old and young – and try to give something back as a thank you for everything that has come our way or been done for us in the past. Not arguing with that, either. But some days I do wonder why I bite off such large chunks of stuff. Why do I never know what it’s like to be bored? Why do my hours disappear so quickly – morning becoming afternoon becoming evening becoming bedtime and then as quickly as a dream dissolves in the sunlight the cycle of days repeats itself and repeats itself? Boredom – I wonder what that must be like – to have nothing at all to do and to be bored because of it. I truly can’t recall ever being bored, not even as far back into childhood as my memory goes. I recall reading and trying to write poetry, and climbing high in a maple tree in our yard to sit there and think about whatever is was ten-year-old me thought about. I remember riding my bicycle and playing tag and softball and Red Rover. I remember drying dishes and picking corn and weeding gardens and jumping from the barn loft into a pile of hay below. I remember writing letters to my boyfriend when he was away at Air Cadet camps, and lying in the sun, and swimming at our beach and going for long walks. But I don’t remember being bored. Ever. Surely I’m wrong about that and any recollection of being bored in the past has simply disappeared from my rose-coloured glasses memories. I’ll never know for sure, I guess, as I can’t go that far back and revisit my day-to-day life as a child or a teen. But I can definitely think back to last year and last month and yesterday, and can say, with complete certainty, that I haven’t been bored for a long time. I’ve drifted, though, haven’t I, from my original thought about not having enough hours in my days? Hmmm – I have likely hit on one of my problems – my mind wanders hither and yon and I usually follow where it leads me – I don’t trust it to go off on its own as I’m afraid it may never return, and then what would I do? I’m going to pause for now, though, and will continue discussing this theme in another post or two – talk about how I usually spend the 10,080 minutes I receive in my weekly time-bank, identify my particular minute-stealers that cut into my days and nights, try to figure out how I can make adjustments to my routines to free up time to pursue other interests I have or to simply be for a little bit, and decide if I’m willing and able to make those adjustments. But right now I have to go as I have a list oh-so-long to tackle today and I need to get back at it, because, as I’m well-aware, time waits for no woman or man. Does anybody else out there in BlogLand have a similar issue regarding time? I’d love to read your thoughts and ideas about this subject. Thanks so much for stopping by, and please drop in again soon. 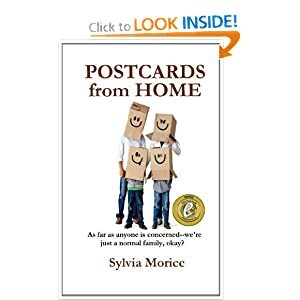 Sylvia Morice I am a writer and a former banker, instructional designer and facilitator. I am a woman, a widow, a daughter, a mother, a sister, a friend. I love words, humor, and humorous words. 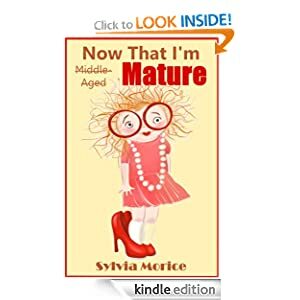 I write fiction and creative non-fiction, have had prose and poetry published in various literary magazines and periodicals, and have taught writing courses for adults. I have published several eBooks and POD books and hope to have more coming out soon. Thanks for dropping by and please, don't be a stranger. It’s a problem I share as well, so please don’t feel like you’re alone! I work very hard, writing and painting, and keeping up with the day job. My exhaustion is usually mental. I’ve concentrated for hours on end, and I’ve reached an end to my productivity. I find I have the same problem of the day not having enough hours in it even in my 30’s with just a husband and no kids (okay, 3 cats who think they’re my kids but at least a laser pointer and some cat food takes care of most needs with them). Granted, I’ve got a full time job that I can blame but it still seems like the typical M-F basically only leaves time to get up, shower, eat, go to work, battle traffic, make it home, feed cats, feed self, brush teeth, go to bed, annnnd repeat. And then the weekend only has two days in it, which seems entirely unfair. My semi-solution to this has been to make sure my “to do” list includes fun things and non-work related stuff at least for a little while each day. Yes, I WILL catch up on WordPress and write comments if I feel like it. Time for bed you say Mr. Day? Pbbssstt! (however you type out the sound of someone sticking their tongue out), I’m doing something fun before you end, ha! Thanks so much for stopping by and for commenting, Julie. I suspect that many of us, no matter how young or old we are, struggle to manage the time we have every day, and I especially think that those of us who identify as being ‘creative’ have difficulty with it. It seems that our interests and our passions know no bounderies and refuse to go to sleep just because we need to deal with other, usually more practical tasks. But I tell myself that as long as I’m doing the best I can today, that’s all I can be concerned with. Tomorrow will surely bring other challenges and highlights and lows that I’ll deal with at the time. Like you, I do my best to include fun and exercise and reading/relaxing into my day and of course I practice my music because I’m in a band. On a sidenote – my maiden name is Hicks, so perhaps you and I are long-lost relatives! LOL Even though I’m in chilly Canada and you’re in jealousy-worthy, warm Georgia, stranger coincidences have happened. I agree with Sharon. I have never been bored. I consider that the sign of a life well lived. One of my favorite quotes ~ which may be from Bob Dylan ~ is “People who aren’t busy being born are busy dying.” It is a quote that I have carried within me since I was a hippie teen. I have always aimed to be busy being born. I’m not a person who can sit still, or get bored. At the very least my brain has to be busy. Congratulations Sylvia on a full and wonderful life well lived. I’ll bet if you really sit and ponder the situation, you wouldn’t have it any other way. Thanks for your nice comment, Carol. I like that Bob Dylan quote! And yes, I do lead a full life – as full as I can stand! 🙂 And you’re right – I probably wouldn’t really want it any other way. It’s good to know that I’m not the only one whose brain works in overdrive and who, even if I’m not actively being busy, am busy thinking and pondering and wondering and questionning. I don’t think that will stop until I take my last breath. If you’re never bored you really can’t have many regrets.